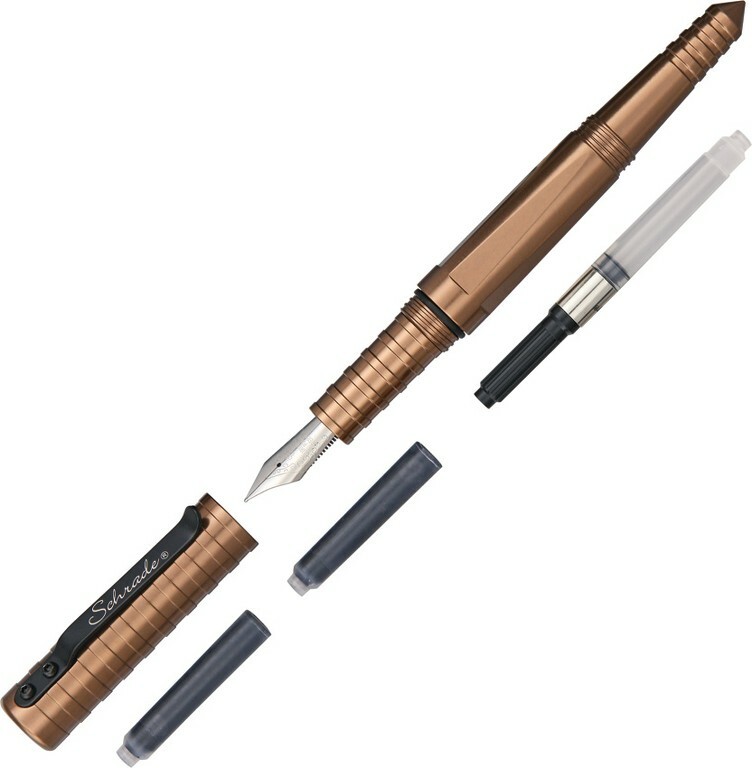 Fountain Tactical Pen - 5-7/8" closed. Brown aircraft aluminum body with black finish pocket clip. One end is pointed, which could be used as a very effective defense tool, while the other end is blunt tip and could be used as a control device. Remove cap to reveal fine tip fountain pen. Comes with two black ink refill cartridges and a Schmidt K2 Converter.